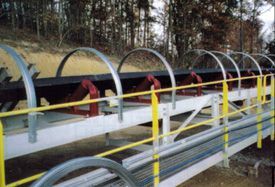 Flexospan can help with your conveyor projects ! 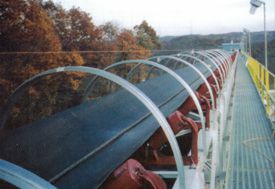 Conveyor cover systems consist of galvanized steel hoops with an assortment of different types of covers, depending on the application. The system is simple, and quick to fit. The material being carried is protected against the wind and weather. The environment around the conveyor is protected because the material being conveyed stays on the belt. Conveyor cover products efficiently protect the material being carried from being blown off the conveyor. Heavy gauge steel panels will last longer. Stainless Steel is available if required. On inclined conveyors which are not covered, rain can cause major problems because the material gets washed away. This problem is efficiently eliminated with conveyor covers. The work environment is improved while safety also increases. The strong design is also very suitable for cold climates where snow loads need to be considered. Fugitive dust emissions from coal occur during material loading, unloading, transferring, stockpiling and other material handling procedures. Utility companies, power plants, steel mills and coal mine facilities are required to comply with regulations as they relate to water and air quality, as well as the impact on aquatic and human health. Sediment, as a result of runoff or windblown particles, deposits into drains, ditches or lakes and can seriously endanger plant and aquatic life. Erosion control is much more effective than sediment control. By stopping erosion before it becomes sediment, you can avoid costly clean-up and environmental effects from even occurring. Flexospans curving mill can create a multitude of shapes. We offer radius curve with a tangent, without a tangent, or with a double tangent. Radius-curved panels can be installed over purlins or conveyor cover hoops. Curving by Flexospan results in a continuously smooth, un-crimped curve. It is available to radii as tight as four feet. Day-in and day-out, mining facilities wage a constant battle against fugitive dust. With todays ever-tightening operating budgets and environmental regulations, you need to be able to control dust efficiently. Avoiding accidents as well as the negative community relations that uncontrolled dust can cause is a must. Just as dust can be a nuisance, ice and snow freezing on your conveyors can also cause concern in winter weather conditions. 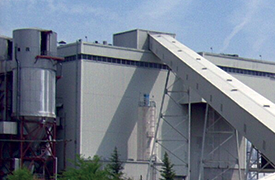 Covering conveyor systems will improve the environment while safety also increases. Please tell our sales agent that you're interested in our Conveyor Cover Systems. We stock in four different materials in the gauges shown in this table. 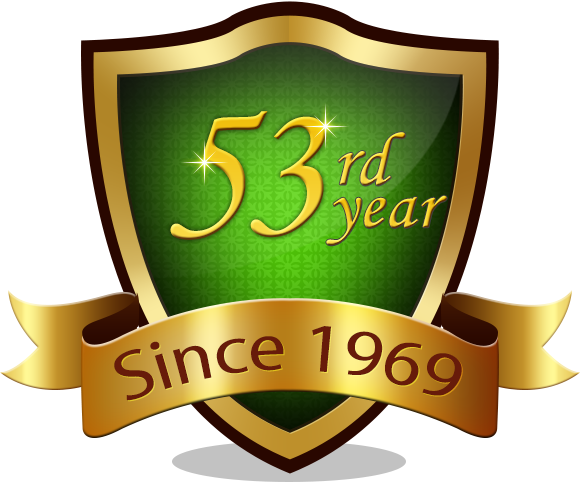 We also offer three coatings and a mill finish. Painted products are available in our 15 standard colors. Custom colors and painted aluminum can be special ordered. All special orders are subject to minimum quantity requirements. For more information and availability, contact your Flexospan sales representative.